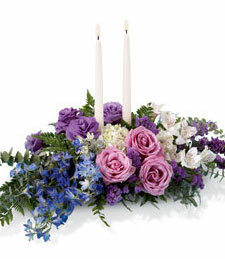 Sparkling with beauty and grace, this stunning arrangement brims with vibrant, fresh flowers! Enjoy the elegant glow of candlelight while breathing in the sweet perfume of these brilliant blooms! What a special and memorable gift!